Please see update notes below the map. The corridors shown on the map in purple, extensions to the north and south ends of the Green Line, are now called the Pink North Corridor and Pink South Corridor. There is now a new corridor. 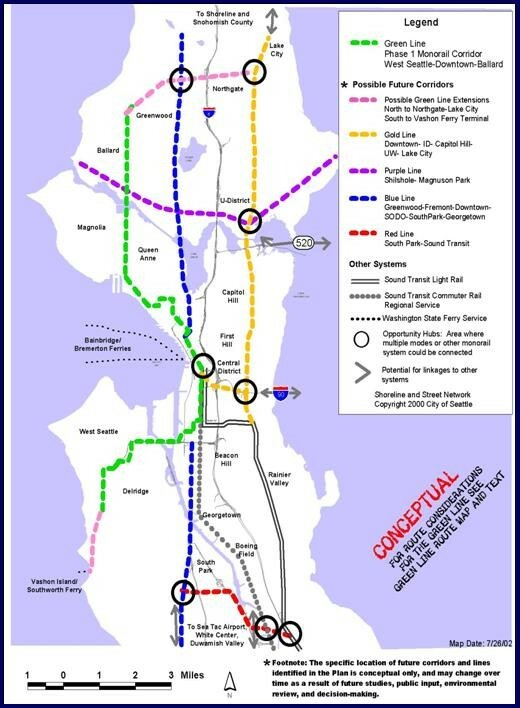 In response to a high volume of suggestions from the public, the SMP has now added the Rainbow Line, which would go north from Downtown Seattle roughly along the I-5 freeway to the University District and then on to Lake City.